The Hungarian Highflying Dark-storked - also known by the names: Magasröptű Magyar Deres Keringő, Haut-volant Hongrois Cigogne Fonce, Ungarischer Dunkelgestorchter Hochflieger, Высоколётный Венгерский Седой голубь (Дереш) - a variety that originated from Budapest (Hungary), that was developed in the late 19th century, as a result of crossbreeding with other races and Vienna. 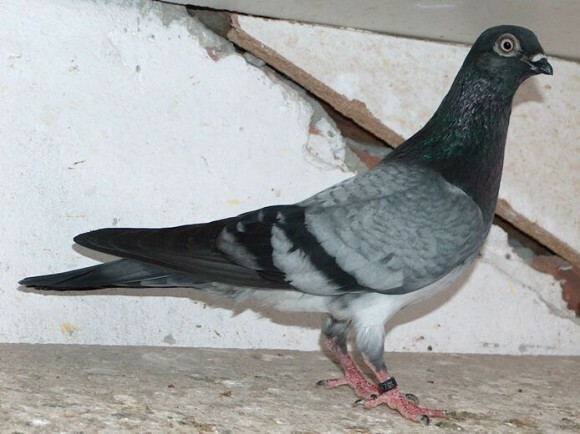 Initially, the varieties are classified as type this Highflyer, 1910, known as Magyar Deres. The development will be done from the beginning to create varieties that have a great ability to fly.